Whether it’s the change of weather with the arrival of spring or just a need for some freshness, with these tips learning how to make your house smell good doesn’t have to be a challenge! If you’re like me, once the weather starts to warm up and springtime arrives, all you want is for the inside of your home to feel as refreshed as the weather is outside! I’m excited to have partnered with P&G and Febreze ONE to share how to make your house smell good. This post is sponsored but all opinions are mine! Why does it matter that your home smells as good as it does when you step outside into a warm spring breeze? It matters because it has a huge effect on our whole outlook. 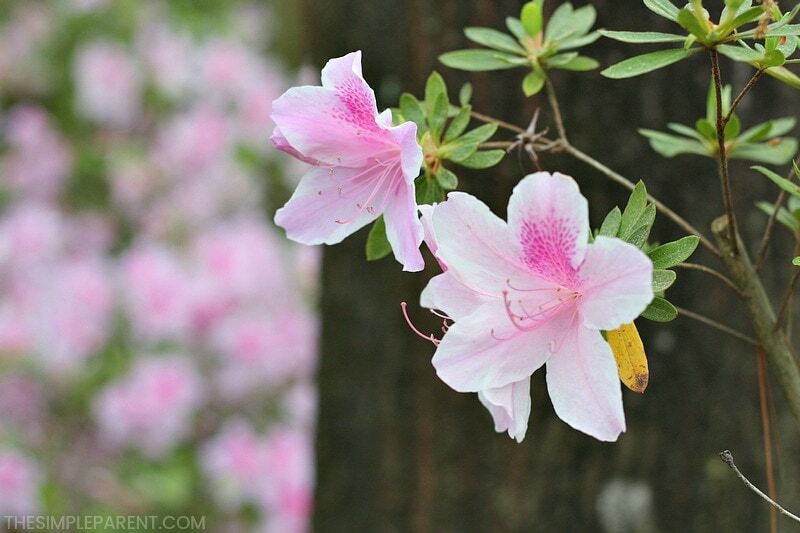 Spring is a time of revival and energy. Families get busier and life just seems to have more energy as the weather warms up. It has a huge impact on your state of mind. 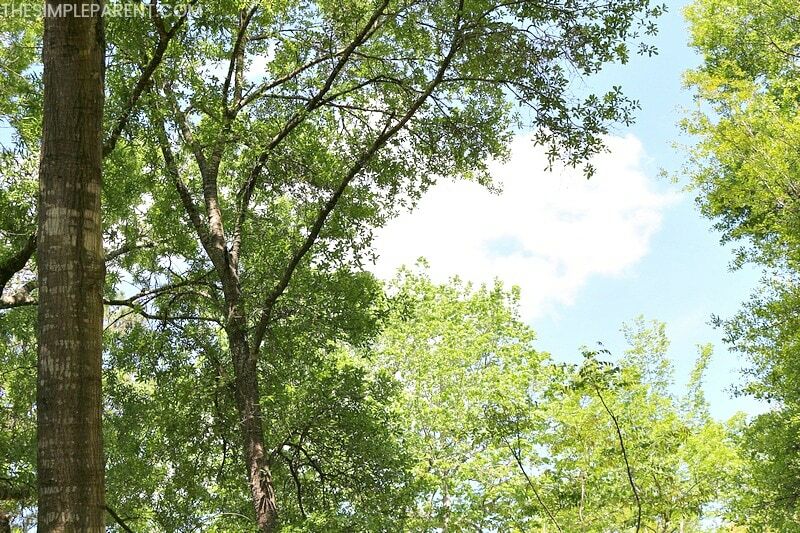 As a busy mom, fresh air just lifts my spirit and makes me feel more at peace, no matter what is on the schedule for the day. That’s why you want to figure how to make your home smell fresh. You can do a ton of spring cleaning, but it’s important not to forget to clean the air as well to really get that feeling of renewal!! Here are some ideas to make your home fresh, clean and a truly happy environment to be in. 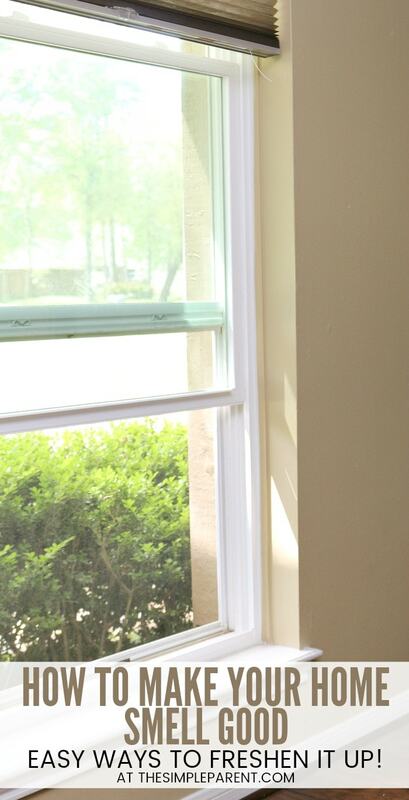 When it comes to making your house smell good and feel fresh, one of the easiest things you can do is open the windows! 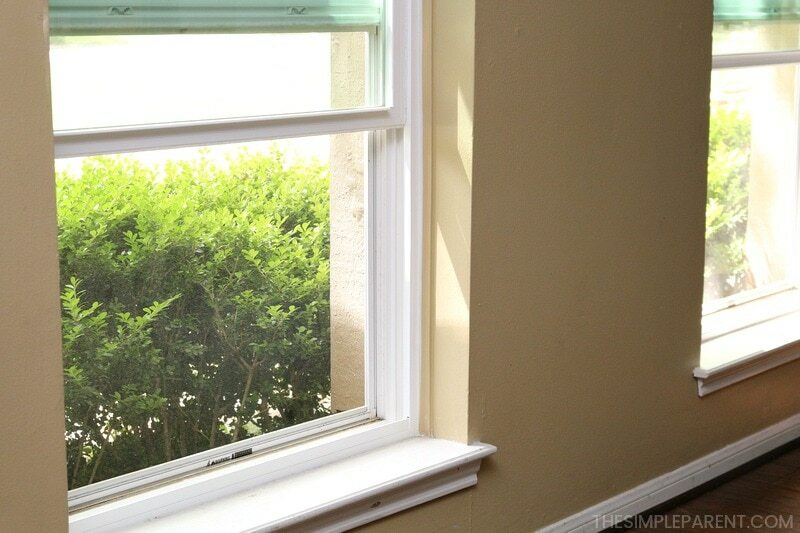 Open up a window in each room and let that fresh outdoor air inside! 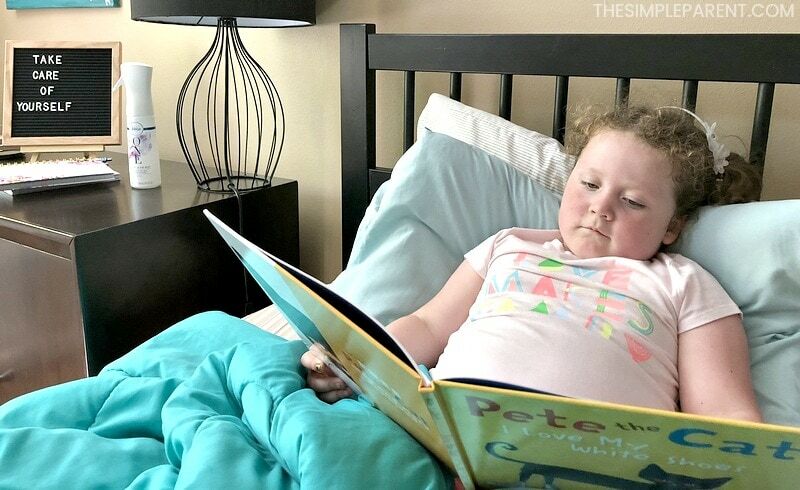 You can even turn on a ceiling fan or put a fan near the window to get the air circulating. I will admit that I love a good scent in the air. I always have and I probably always will. There is just one little problem. As I’ve gotten older, I find that strong scents of certain air fresheners to just be too much – way too overpowering and overwhelming! But I still want that scent and odor control that comes with a good air freshener. I really believe that being in a house that smells fresh has a huge impact on my mood and how I handle things I need to get done. I’m not the only one who has this struggle. 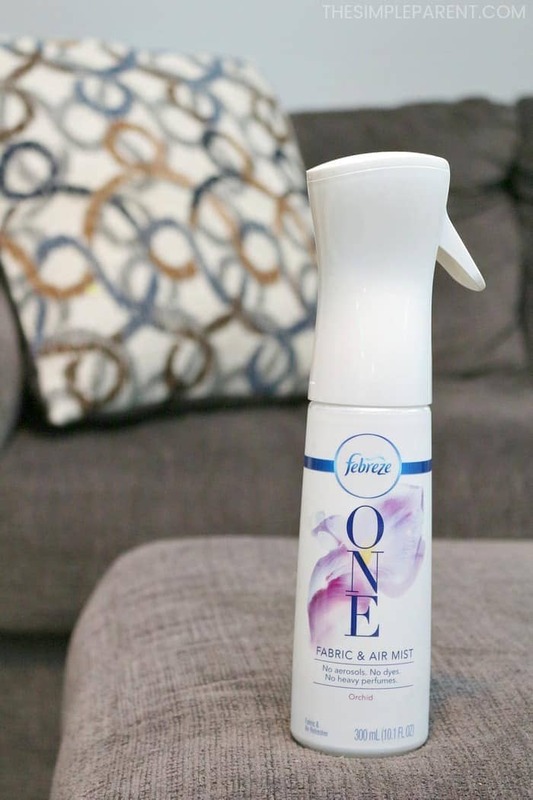 A Febreze survey discovered that many people find the strong scents and overpowering sprays of some air fresheners to be overwhelming so they created Febreze ONE- a fabric and air mist with light, fresh nature-inspired scents. Febreze ONE offers a light, fresh way to clear the air with its formula that has no aerosols, no dyes and no heavy perfumes. These means even those “scent skeptics” like me can enjoy and breathe deeply! How to make your house smell good with the best air freshener for home. Yes, I said it. After trying out Febreze ONE, I feel like I’ve found the best air freshener for our home. 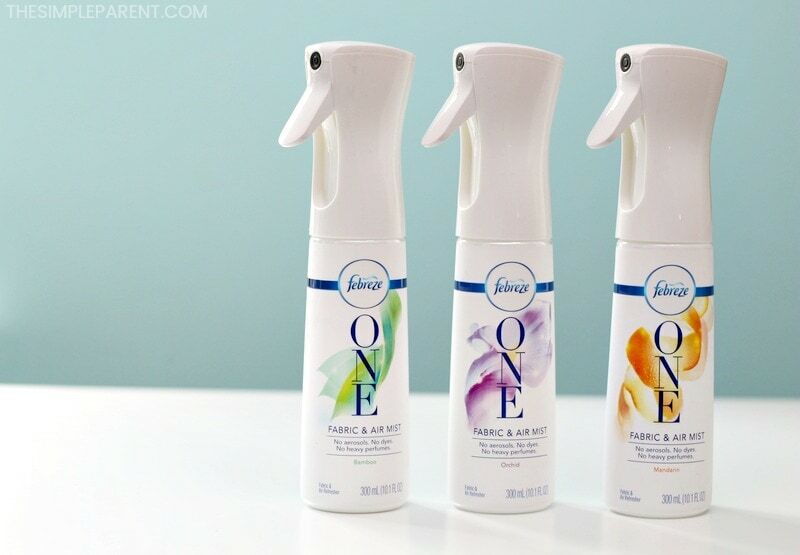 Febreze ONE has the same odor elimination power of other Febreze products you may use in your home. But one thing I love is that it is also has a unique 2-in-1 formula that means we can use it in the air and on fabrics! These are great options if you aim to come to something Febreze calls a “ONE state of Mind” and find that feeling of being rejuvenated and refreshed. Bamboo is a scent that can help you feel calm while citrus can make you feel more energized. If you want to feel calm and soothed then orchid is a great option. I love using the Mandarin scent in the morning and Orchid later in the day! They freshen up my room in a way that I love! The kids seem to love it too! 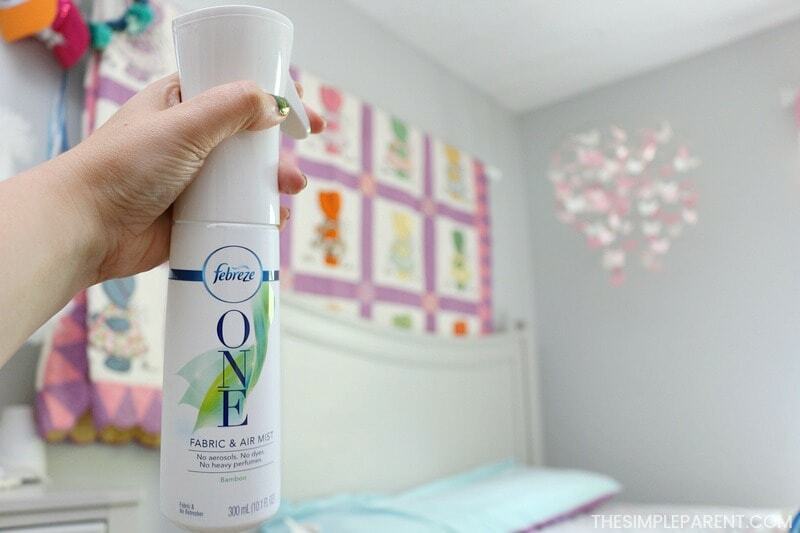 Febreze ONE air mist is so easy to use too! 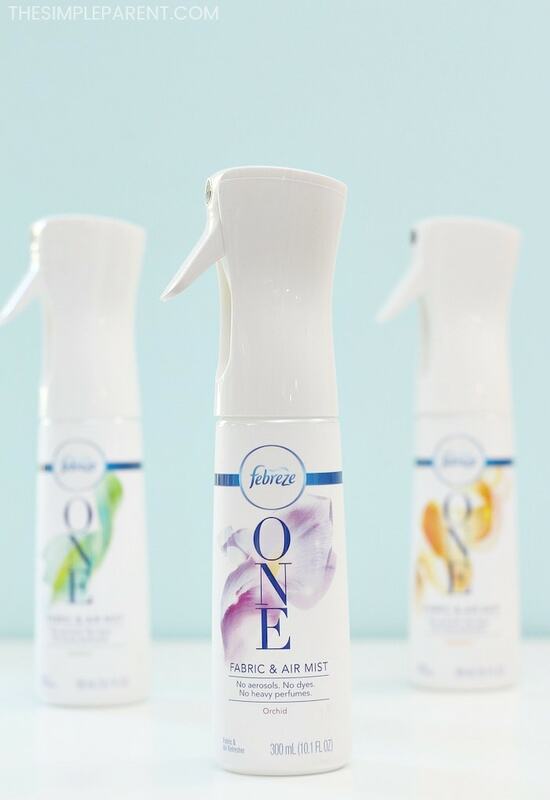 Febreze ONE has a unique misting technology that puts out an ultra-fine mist (without aerosols) that isn’t too heavy in the air. It’s perfect if you like a lighter scent. You can pump once and get a gentle spray or pump it three times for a continuous spray. It’s great for 360º coverage! Plus the sprayer works with refills! You can use it to freshen up anything in your house! It works great in the living room, bedrooms, bathrooms and even the laundry room! Spray it on anything you’d like from your furniture and curtains to carpet and bedding! 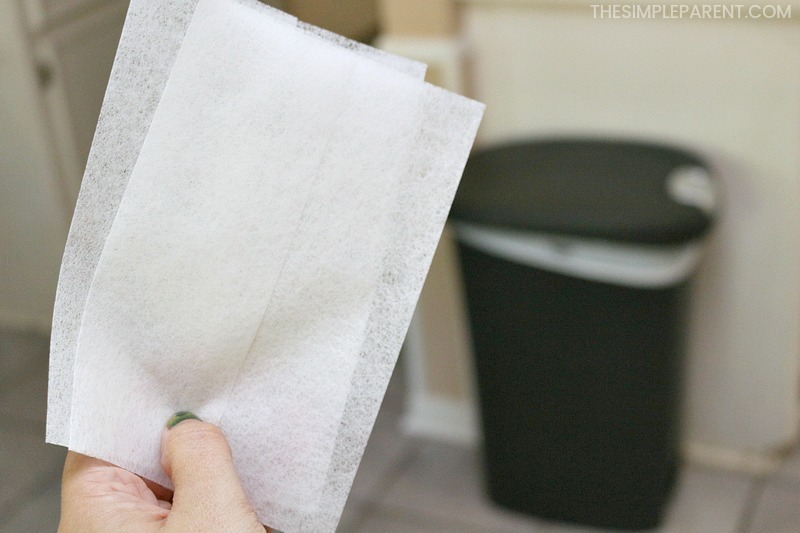 Fabric softener sheets from the dryer are another quick trick I have for freshening up the house. You might not have thought about it but the kitchen trash can also be a great place to stash a dryer sheet! Just drop one in the bottom of the can and see how it helps with the smells. If you want to get really tough on odors you can put them in the bottom of the bag when you put it in the can too! You can also use them for cleaning baseboards which is an easy spring cleaning tip of mine. 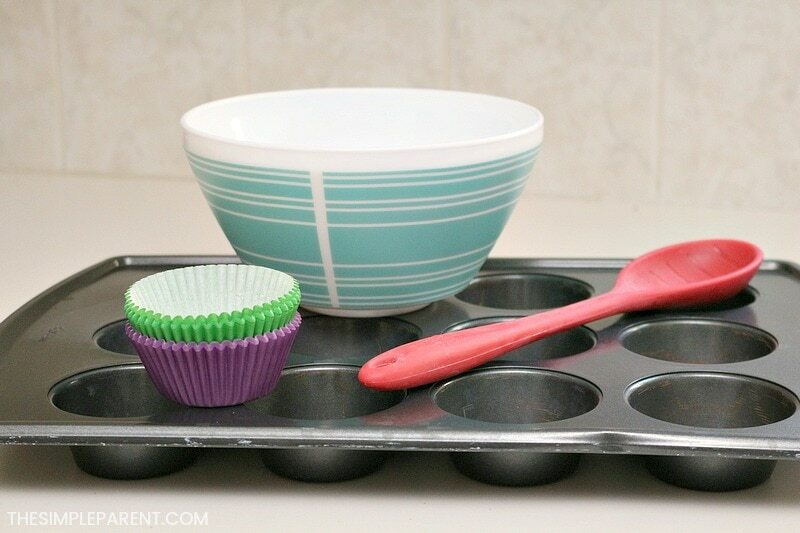 They’re great for cleaning a lot of things and you probably already have them in your laundry room! When it comes to how to make your room smell good this last suggestion is one of the most fun! The kids and I like to head into the kitchen and do some baking together! The smell of fresh baked cookies or cupcakes is one of the best scents in the world. It’s not clean and fresh but is a great way to bring your home to life with good smells and time spent together! Spring is definitely a time to get outside and enjoy being able to be more active. But when you come inside, you can still enjoy that feeling of a fresh smelling home. Sometimes doing the most simple things can have a huge impact on the entire vibe of your family! So don’t be afraid to freshen things up this year! If you’re looking to try Febreze ONE in your home, we’ve got the chance for you to win a bottle of Febreze ONE to try out with your scent skeptics! Use the form below to enter for your chance to win! The giveaway is open to US residents, 18 years of age and older!